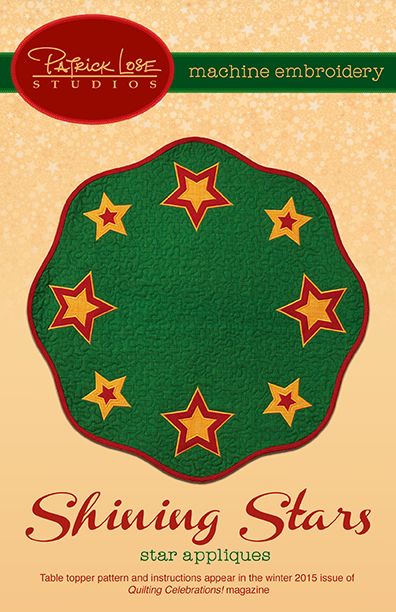 Shining Stars table topper appears on page 60. You must have a copy of the winter 2015 issue of Quilting Celebrations! if you want the pattern and instructions for making the table topper. These files are for the applique stars.